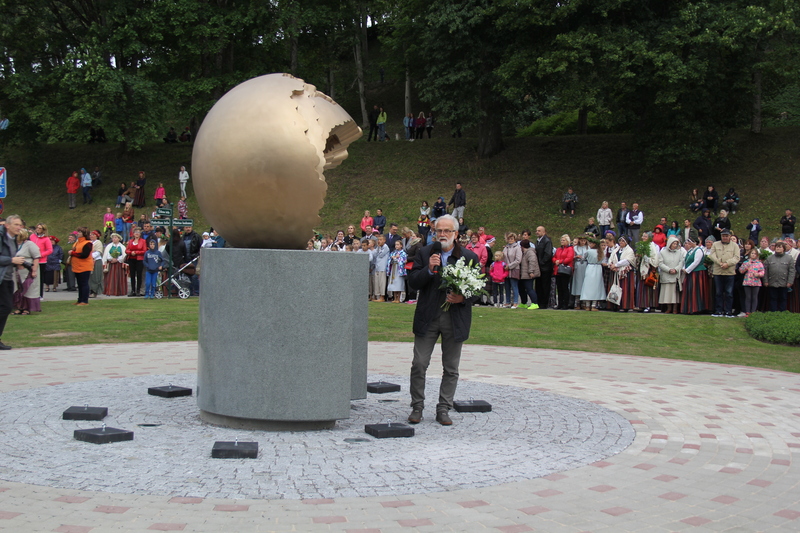 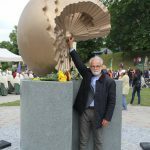 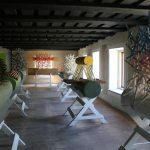 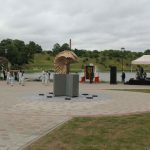 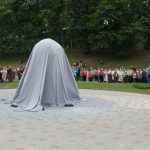 On 29 June 2018, the environmental art object “The Latvian Sun” was opened in Talsi. 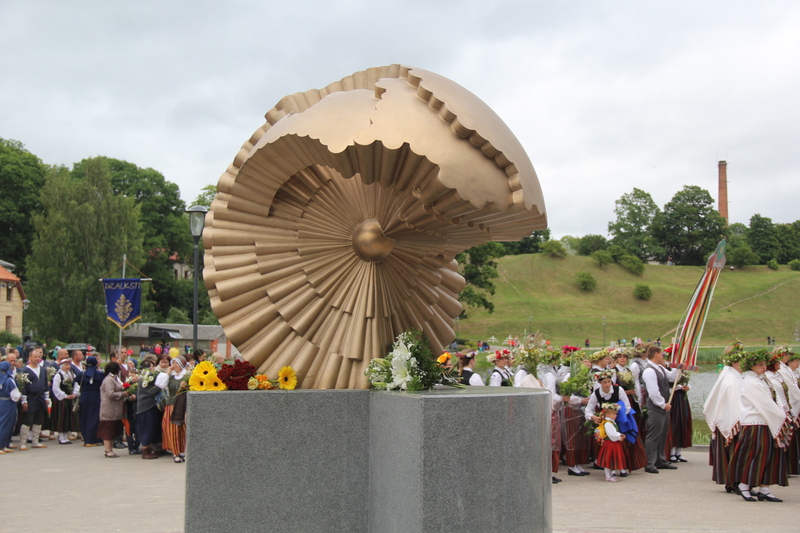 In 2018 we celebrate the centenary of the existence of the independent, democratic Republic of Latvia. 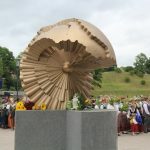 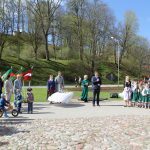 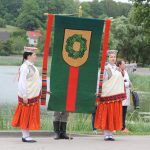 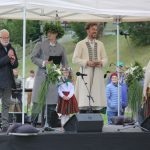 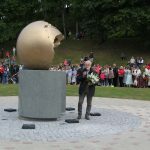 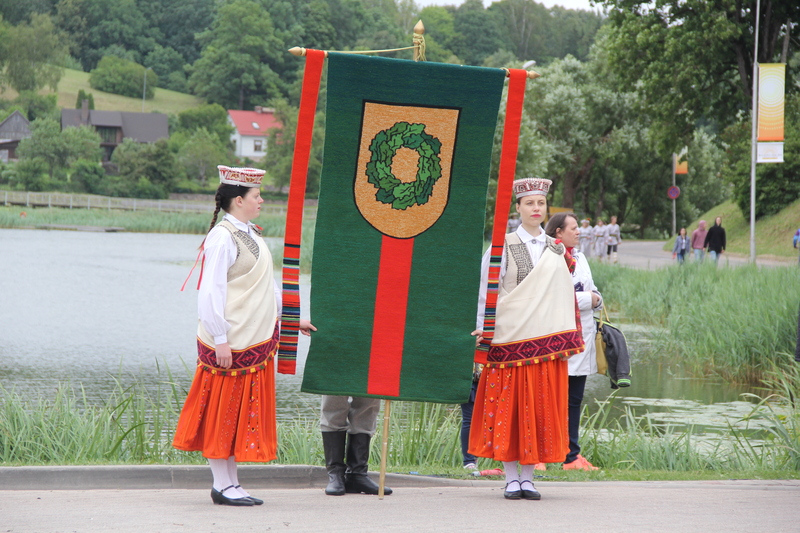 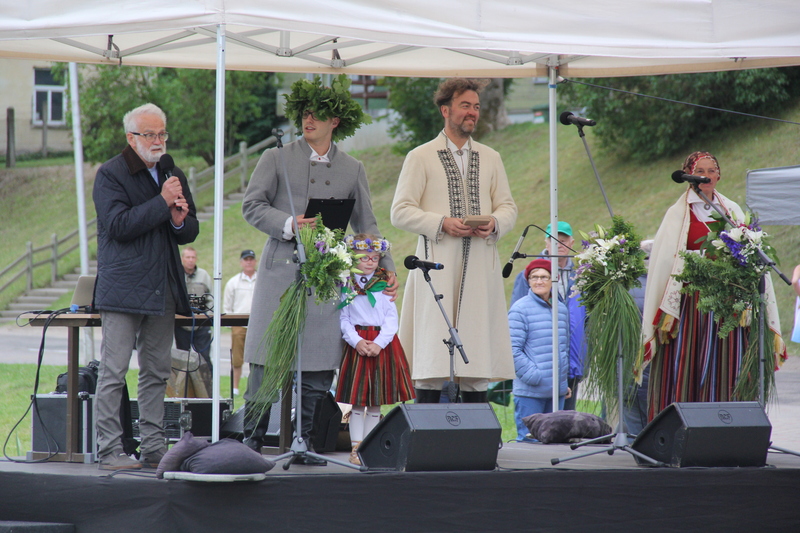 The main theme in the whole country is “The Sun”, and the motto “The Way of the Sun in the Latvian Centenary” has been given for this year in Talsi. 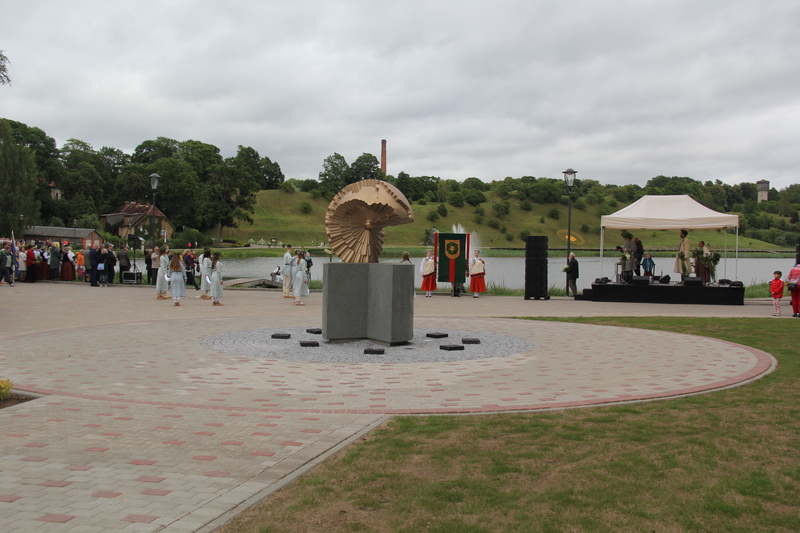 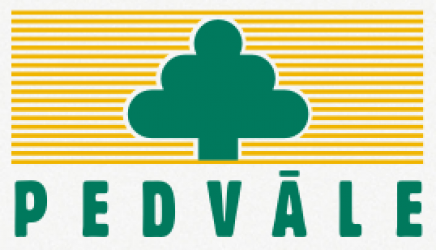 The association “Pedvāle” dedicates the art project “Latvia in form, colour, sound and movement” to the centenary. 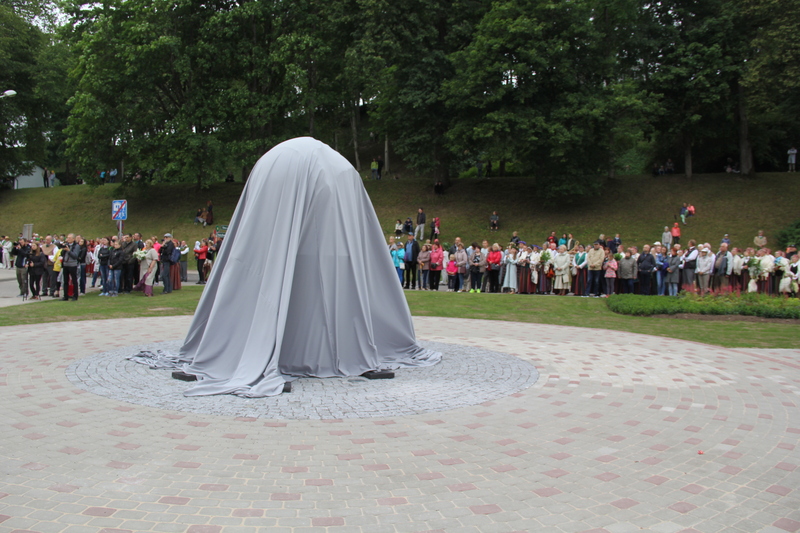 The environmental art object in Talsi is the first work of art within this project. 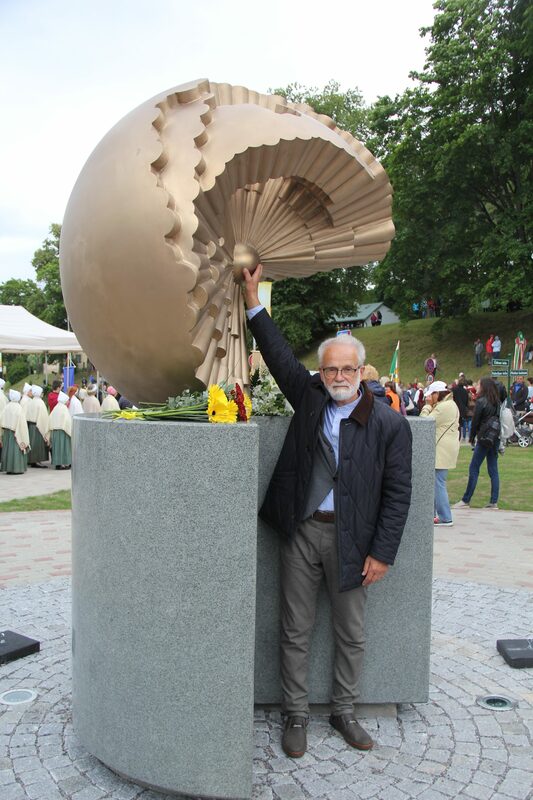 The author and creator of the idea of the environmental art object “The Latvian Sun”, the sculptor Ojārs Feldbergs, has reproduced the Sun in polished bronze, which holds Latvia on its rays, and the sun ray-ends form a spherical shape that symbolizes the light. 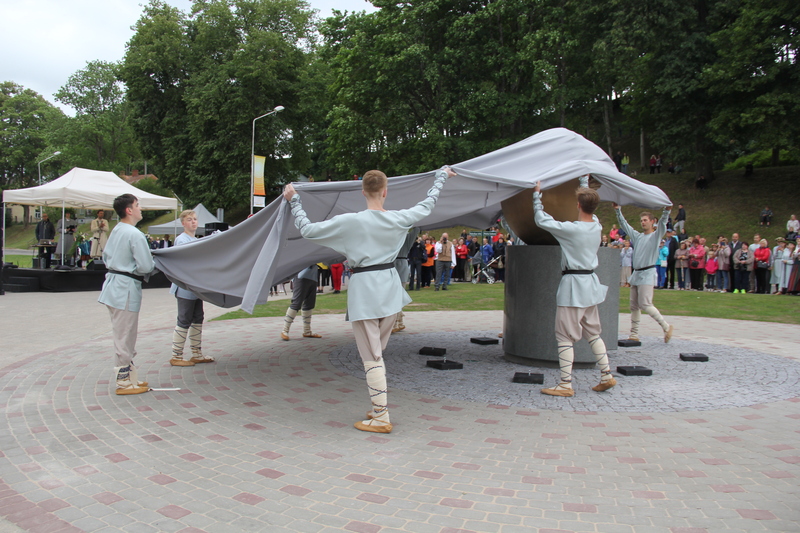 It is based on a cylindrical, polished grey granite podium, in which an opening is made, allowing everyone to stand beneath the bronze Sun, thereby, figuratively uniting with the Sun and Latvia. 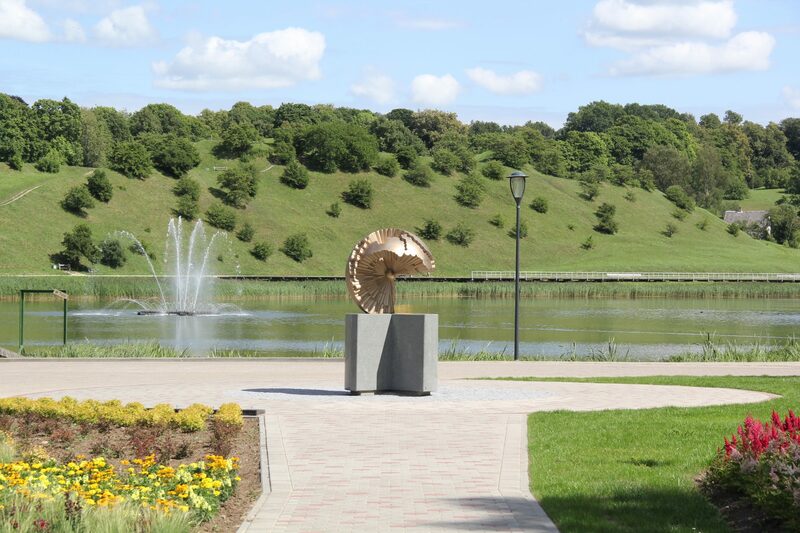 The environmental art object “The Latvian Sun” is located on the shore of Talsi Lake on the opposite side of Kurshi Castle Mound.